We know how much it is difficult to use the main “Talent Search�? page to work on the different positions you got, for that reason we at Jobzella decided to provide you with “Talent Search Project�? (TSP) which enable you to have a “Talent Search�? engine for each single position you have. So instead of using the main “people search�? page to do your search activities and writing down your notes on papers you end up losing, now you can create an “IT Manager�? search project, for example, and inside the project you will have a search engine with special folders dedicated to this search project exclusively. And it is not just a search page, it is one of the most advance Applicant Tracking System (ATS). o ONE PAGE = EVERYTHING: Manage all your work on one-single page, as on the main page you can: Search & Filter Candidates / View Profiles & Contact Details / Social Check / Attach & Download Files / Add Notes/ Add Tags/ Create and Move Folders / Send Messages / Export CVs / Follow and Appreciate Candidates. o Drag N’ Drop: You can drag and drop the candidates to the different folders with a simple click; also you can move and arrange the folders according to your preference. With just one click, you will be able not only to connect and send messages to any candidate, but also get the contact details of this candidate to save more time, instead of waiting for a reply! Jobzella places no limitation or restrictions on the number of search projects you create or the number of searches or results. Jobzella is a professional network, and not a traditional job board, and new professionals, whether passive and active candidates, join Jobzella every single minute to network professionally and build their career, even if they are not looking for a job, so you can guarantee to discover too many qualified but passive candidates. Our search engine provides you with great filtration tools to reach and target the right candidates. Because we know that you might have some special recruitment needs with some specific criteria, besides the main filtration tool relating to experience, function, industry, education…etc. we have added some special filtration options to facilitate your job, for example, you can filter candidates by nationality, visa status, gender, age, and exact city location. Enjoy free, lifetime, and unlimited access to all the profiles and contact details of all the applicants you revealed during your search activity. Your jobzella company page is your virtual assistant! Jobzella offers the highest degrees of quality when it comes to customer care, ensuring around the clock help and support for all customers. While Jobzella maintains one of the highest customer satisfaction rates, it aims to satisfy the needs of all clients. Therefore, if you find unsatisfactory results with Jobzella's services , Jobzella Money Back Guarantee ensures that each customer stands to receive top quality service along with a complete 100% money refund. - Talent Search: in the case customer did not find the number of professionals he/she is looking for according to chosen package. - Job Postings: in the case customer could not hire qualified candidates by the end of the job posting (maximum 2 candidates per job post). - Course/Service Postings: in the case customer did not get qualified leads by the end of the course posting (maximum 10 leads per course/service post). Jobzella Money Back Guarantee applies to all purchases starting 1st of December 2015. But it does not cover marketing services, namely: online advertising banners, and email shots. Jobzella Money Back Guarantee cannot be claimed before the expiration date of the purchased service or package. And Jobzella will endeavor to satisfy the needs of its customers until the last day of the package. 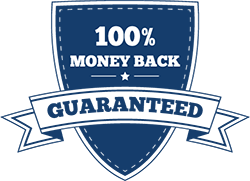 Jobzella Money Back Guarantee will refund the money via the same payment method used to purchase the service. Jobzella welcomes all your feedback and recommendations.